Can't attend? Follow Racing Creatures to know of future events! 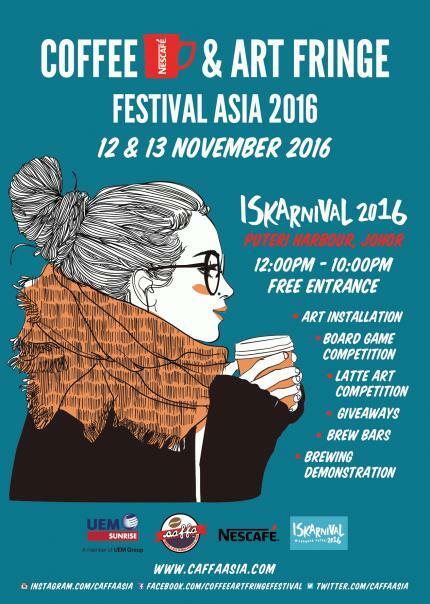 Get caffeinated with Coffee & Art Fringe Festival Asia at Iskarnival 2016, Puteri Harbour, Johor! Join us for lots of live music, coffee, art installations and much more! Free entry!